 This article explores the colonial role of the French language in assimilating the Moroccan subjects during the French ‘protectorate’ in 1912-1956 Morocco. Probing into the instrumental efforts made via the colonizer’s language entails investigating the way the colonizer sought to racially segregate the Moroccan subjects, ascertain inaccessibility to religion, and instill the colonial language and the associated foreign ‘elitist’ values via the educational policies initially established within the postcolonial project. French language reflects a colonialism, of which the nature was racial, religious, linguistic, and identity based. The ensuing postcolonial effects of the curriculum adopted during the ‘protectorate’ have given birth to the surviving outcomes of Francization and the need to adopt French—a language that is foreign, ‘prestigious,’ ‘elitist,’ and practical in the job market. 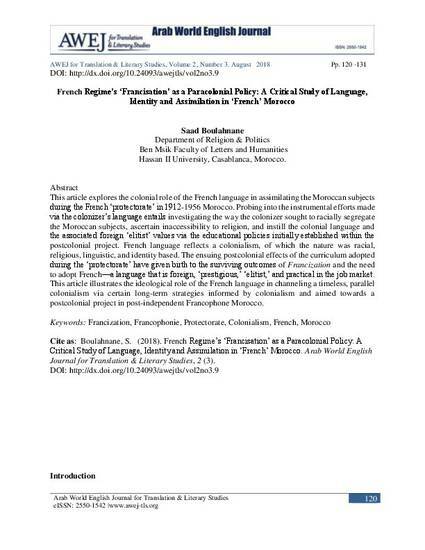 This article illustrates the ideological role of the French language in channeling a timeless, parallel colonialism via certain long-term strategies informed by colonialism and aimed towards a postcolonial project in post-independent Francophone Morocco.